Let’s talk about James Harden for a moment. On Saturday evening, the Rockets announced that they had signed James Harden to the richest contract ever awarded an NBA player. Harden’s “supermax” extension will pay him $228 million through 2023. If he doesn’t already, James Harden will soon have one of the nicest homes in all of Texas. As he should as the face of that franchise. That being said, James Harden has never won an MVP award. He’s come close including finishing in second place last season to Russell Westbrook, who has to be licking his chops at the contract Harden just signed, for he knows his time is coming. 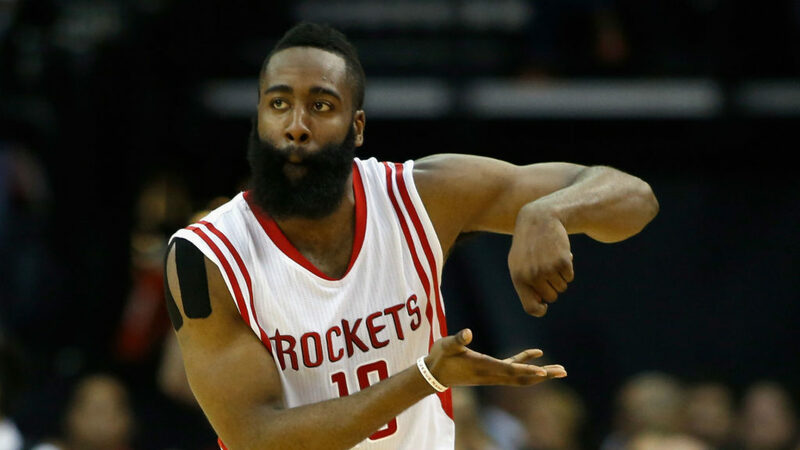 But still, Harden has no MVP trophies on his mantelpiece. James Harden has never won an NBA title. He’s come close, reaching the Finals with his former team, the Oklahoma City Thunder, but he has yet to reach the Finals with his current team, the one that just paid him all that money, the Houston Rockets. James Harden has yet to win a scoring title. He’s come close. The last two seasons, he’s averaged 29 points per game. His scoring per game has increased in each of his last four seasons. Perhaps even more impressive, his assists per game total has increased every year he has been in the league, capping off at a rather impressive 11.2 per game, which led the NBA last year. James Harden is a fantastic basketball player… but still, I couldn’t help but wonder, if I were a Houston Rockets fan, how I’d feel when I heard the announcement that he had been locked up for good… and for a lot of damn money. Let’s get one thing out in the open. In no way, shape or form am I hating on the contract James Harden just signed. More power to the guy for demanding, and landing, what the current market is willing to pay for his services. With $228 million, Harden could conceivably buy his own sports team. He very well may. But to put things in their proper perspective, Dirk Nowitzki, the greatest Dallas Maverick ever, who played with that team for 19 years, has earned $241 million over his entire 19-year career. In 19 years, the San Antonio Spurs paid Tim Duncan $238 million. 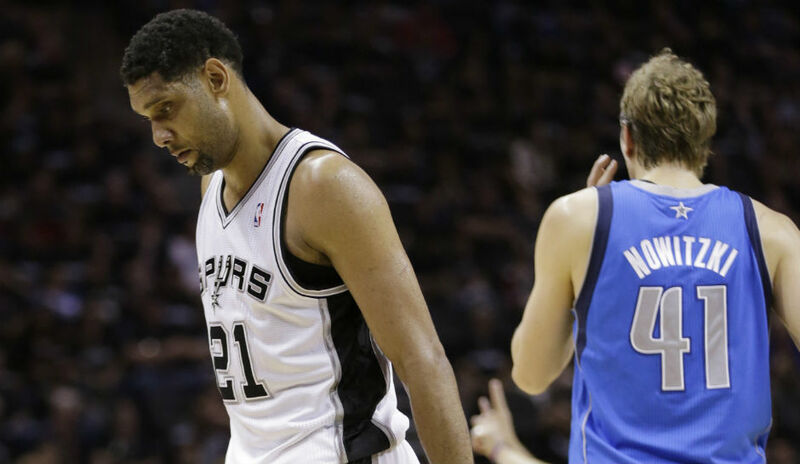 I can’t help but feel that Nowitzki and Duncan meant more to their Texas franchises than James Harden ever will. The NBA’s recent television contract allows teams and owners to now shell out Harden money for its superstars and rest assured, James Harden is exactly that: he is a top-six player in the league. To Harden’s benefit, timing is everything. He won’t be the last to receive this sort of money either, that is until the NBA eventually pulls back the reins, the inevitable ebbs and flows of the marketplace. I’m not calling Harden a bust, far from it, but I can’t help but think of other big contracts that didn’t pan out. Before the NFL instituted a cap on rookie salaries, Sam Bradford signed a six-year, $78 million deal before he had thrown a single pass in the league. His contract ended up handicapping the Rams for years and was largely responsible for the NFL restructuring its deal with draftees. In 2001, the New York Knicks, no stranger to the bum contract, signed Allan Houston to a six-year, $100 million deal. It is commonly considered one of the worst contracts ever signed, from a team’s perspective. Houston’s knees gave out and he was never able to live up to the hype that the contract promised. The numbers involved in those contracts pale significantly in comparison to the numbers Harden just signed. $228 million is attention-grabbing, even to Donald Trump. To be clear, I’m not hoping any ill will on Harden or the Rockets. I have no dog in this hunt. But it is sure starting to seem that NBA franchises are taking a monster gamble on individual superstars. I’m not sure you can put a price on winning a title. For example, the Golden State Warriors have won two out of the last three NBA championships… but were they the most profitable team in the league? According to Forbes, the four most profitable teams of the last five years were the Chicago Bulls, the Los Angeles Lakers, the Detroit Pistons and the New York Knicks. In case you haven’t been paying attention, those teams have been horrible over that same time, bordering on irrelevant. Ironically, the fifth most profitable team over that same time period is the Houston Rockets… so at least they had the money to pay Mr. Harden. The money NBA teams now pay its players is beyond our comprehension, making the deals they sign players to, shall we say, risky. I can’t imagine there was a single person in the room on either side of these negotiations whose hand wasn’t shaking while signing on the dotted line. If James Harden plays out his existing contract and does not bring a title to Houston, will it have been worth it? If the team still makes a profit over that time period but fails to win a title, will it have been worth it? Houston is not done handing out cardboard cut-out paychecks. They wooed Chris Paul and are still on the market for more. They’re looking at Carmelo Anthony and damn well know that if they want to take down the Golden State Warriors, they’re going to need a lot more than Paul and the $250 million dollar man. I just can’t help but be skeptical that locking up a man, who can score and can shoot, but has yet to really accomplish anything of serious merit in this league, for that long and that much money isn’t a huge gamble. James Harden is an amazing talent. At 27, he is in the prime of his career. He can score with anyone. Those ten points though that he scored in his final game of the season, a 2-11 shooting night against San Antonio, just leave a bad taste in my mouth. In another game in that series, he shot 3-17. He can no longer do that and make $228 mil. Note: Actually, he can. Rockets fans are probably celebrating they have locked up one of the league’s true superstars. Harden is not going to win this thing by himself but with the size of that deal, the burden is most definitely upon him to channel his inner Hakeem and lead Houston to glory. No man who makes that sort of money can shy away from his burden of responsibility. I could be wrong, Lord knows it’s happened before (and recently) but I can’t help but think the Rockets will end up regretting this deal. Let me leave you with one thought. 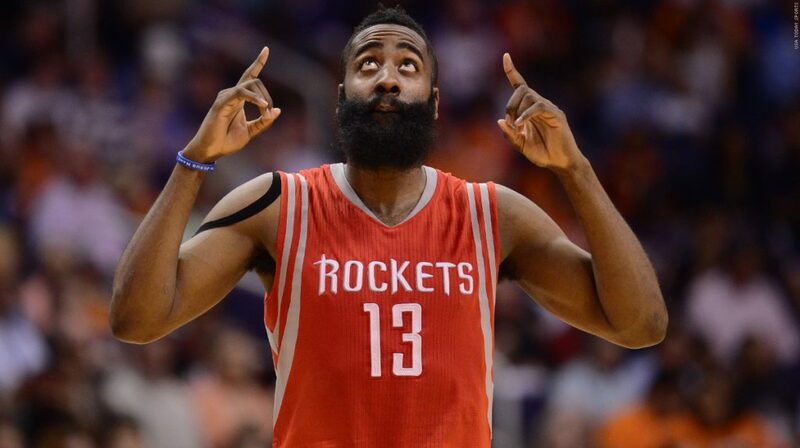 James Harden has a career field goal percentage of 44%. Steph Curry, who only days earlier signed a similarly stout contract, has NEVER, not in a single season, shot LESS than 46%. Steph Curry is an outlier, something this league has never seen before. But he’s also a proven commodity. His hardware speaks for itself. Will Harden’s? Make no mistake about it, there is only one Steph Curry. Harden is not the shooter Curry is. He may never be. But after taking $228 million of the Rockets money, he damn well better be the hard worker Curry is because otherwise, Houston fans will be ruing the day they signed him to a contract almost as big as Texas itself. This entry was posted in Featured, Hardwood and tagged Allan Houston, Dirk Nowitzki, Houston Rockets, James Harden, NBA, Sam Bradford, Stephen Curry, Tim Duncan by Chris Humpherys. Bookmark the permalink. James Harden has remained loyal to the franchise and that’s to be admired. Makes you wonder what might’ve happened had Oklahoma City Thunder GM Sam Presti showed the same sort loyalty to the player prior to the Thunder allowing him to leave. Houston Rockets’ GM Daryl Morey is an astute front office executive and one of the best in the NBA by far. Other than RC Buford (Spurs) , Danny Ainge (Celtics) and Bob Meyers ( Warriors) , no one comes even remotely close. Loyalty is rewarded in the NBA, Al but I’m not so sure it’s commendable. Trust me when I say they’re getting theirs. That’s the way the PA and owners set things up. Players are now reaping the rewards… handsomely. The NBA with the television contracts in place, knew this day would come and so too did the players. Chris Paul , once his current contract is up , knows he can get a max contract and so too will the Celtic’ Isiah Thomas. Both point guards under the new collective bargaining agreement can get up to $205 million over five years. It’s ridiculous to think that in this day and age an NBA player can earn in excess of $40 million a year. Then again , when you pay handsomely for talent you’d better make sure your financials are tight. Look at the mess both the Brooklyn Nets and Cleveland Cavaliers now find themselves in. Nets’ owner Mikhail Prokhorov can’t find anyone to take the team off his hands (Nets have lost over $150 million over the last four years) and the Cavs this past season alone, lost close to $50 million. Bear in mind that doesn’t include what they had to pay out because of the luxury tax for going over the league mandated salary cap. I’ll tell you one thing, Al. With basketball players making $40 mil plus a year, the bickering that will occur when a coach rests a star player will be louder than ever. The NBA has become idiotic and there’s a lacking of responsibility on the part the league hierarchy, owners and union. Your thoughts on the hype concerning Lonzo Ball after his first two games in the G League (Gatorade League ) ? Rather idiotic comparisons are already being made between he and Jason Kidd as to the effectiveness of their game. From my own perspective , it won’t be just about his game but whether or not he can buy into the coaching strategy of Luke Walton and how much interference there’s likely to be from Magic Johnson on the sidelines. The official PPV price has been set for the McGregor Mayweather fight and it will be an extortionate $89.95 , but if you choose to watch in HD , simply add another $10.00 on top of the original asking price. Maybe now he can finally afford to trim that rat’s nest on his chin and we can put this whole Where’s Jimmy Hoffa thing to rest. Westbrook must be licking his chops for his free agency next season. His former teammate’s facial mop just won the lottery and the other took less to keep winning rings up in NorCal, so he’s either gonna break the bank in OKC or pull a KD and head back home to LA to wear P&G with PG13….Either way Russell will be needing a forklift for his pallets of cash soon. Though CP3 will help, I still can’t see the Rockets truly challenging the Warriors with 50 year old Nene as their best post player and no real PF to speak of. The Splash Bros cancel out any back court advantage and the Durantula will eat whatever scrub they try to put on him alive. But hey…At least Chris Paul may finally get past the 2nd round…Depending on what San Antonio does. I wouldn’t call the NBA idiotic, Al. Their players are making a ton. Ratings are as high as they’ve been since Jordan retired which is something they’ve strived for since that point. They fleeced the networks into an ungodly amount of money to show their product and when that all comes crashing down, it’ll be the networks that pay, not them. The league may be imbalanced but at least we have a bunch of teams trying to beat the top one. I can’t complain about that. Although I’d be watching anyway. That beard ain’t goin’ anywhere, Bleed, just like AD’s unibrow ain’t going anywhere. That beard just made Harden $250 mil. If he’s looking for a new image, I’d work on the one that scores him a more clutch percentage from the floor when it matters. That’s something Houston could cheer for. I’d add Rondo, Nash and yes, even Magic to Kidd’s name into that Lonzo comparison game….The kid’s a natural PG with a feel for the game that few possess. I was skeptical too because I only saw his last 3 college games, and his old man’s Flavor Flav act is tiresome from the word go….But the local Lakers tv station, Spectrum, showed 6 of his high school games before Summer League started, which I TiVo’ed and watched. Between those and his Summer League showing, I think the kid is legit…Time will tell. I’m gonna have a look at the rookie of the year numbers. Ball’s probably one of the odds on favorites because of all the hype but I bet you could find some pretty good value elsewhere. He he, Moose, I’m still here. Had a very busy birthday week, surprisingly most of which I remember. We’ll have new posts up soon… I promise.